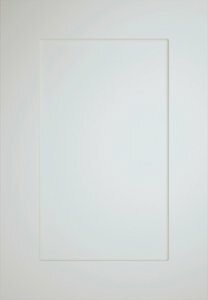 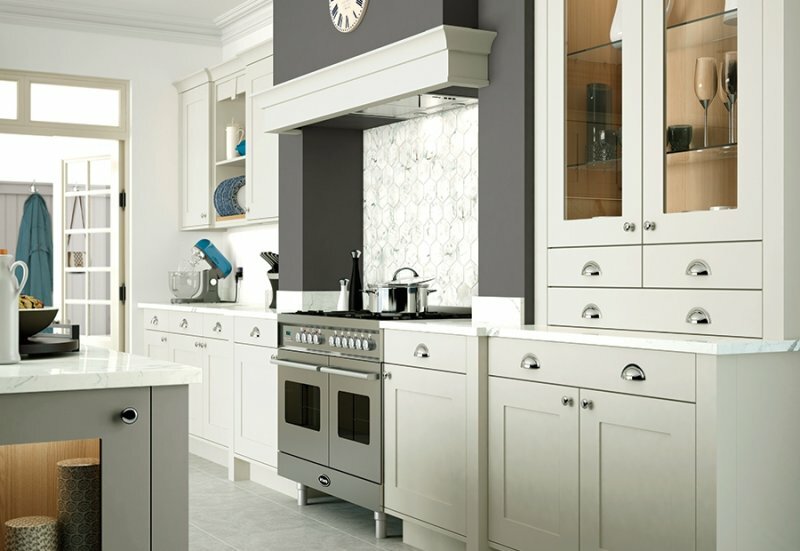 Porcelain and Stone painted finishes work in perfect harmony here to create a light, airy colour combination, ideal for adding bold statement wall colours or wall tile designs. 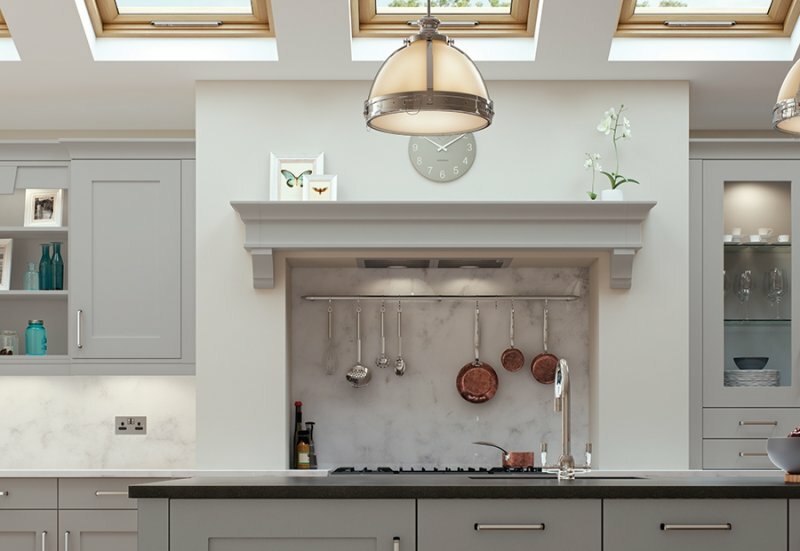 This stunning overmantle sit proudly within the Georgia kitchen, creating a central focal point, enhanced by the bold colour of the mantle wall. 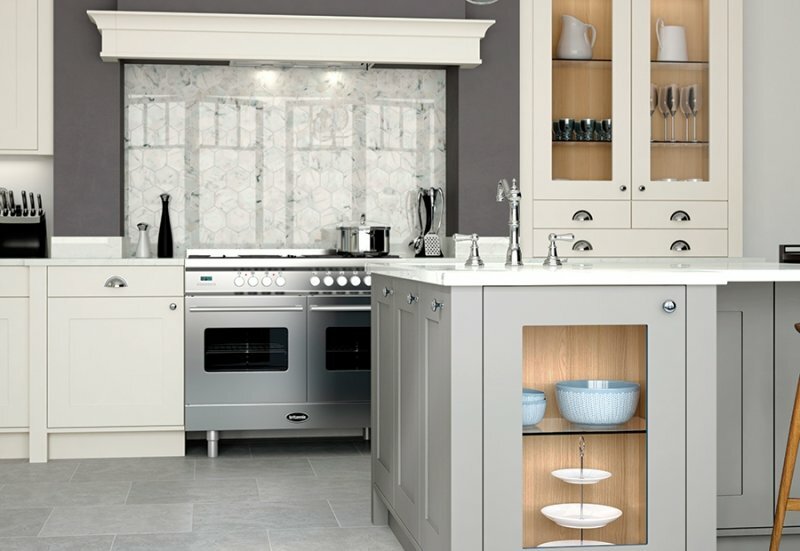 Straight and curved lines work together in this unique island design, resplendent with plain frames to show off treasured display items. 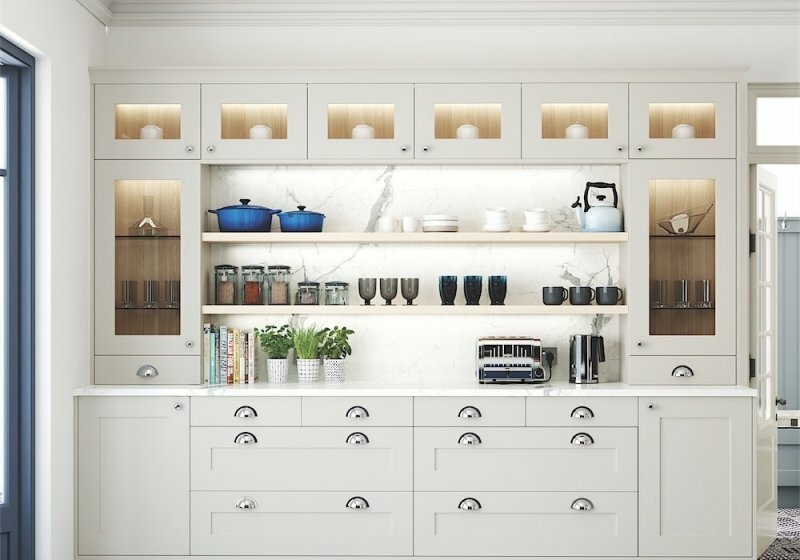 This stunning overmantle sits proudly within the Georgia kitchen, creating a central focal point, enhanced either side by both plain frames and open shelving. 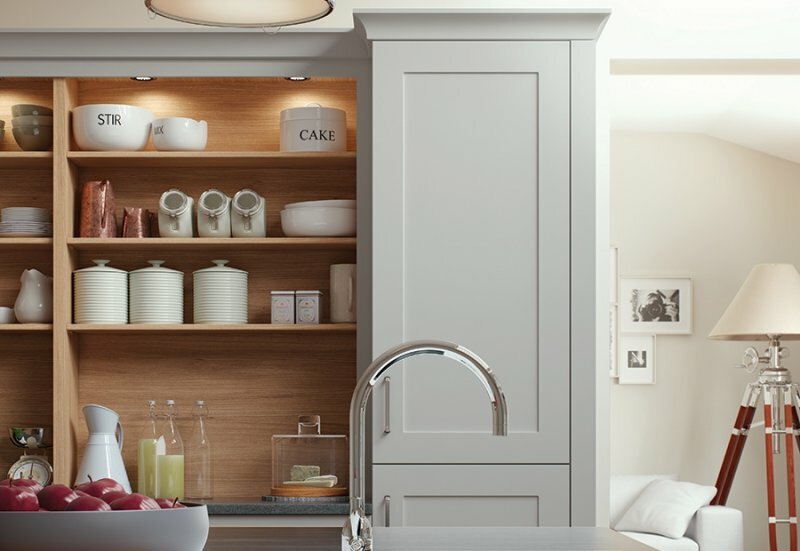 Embellish practical areas of your kitchen design with features such as a open shelving in a contrasting material such as the oak shown here, complemented with beautiful lighting for added ambiance. 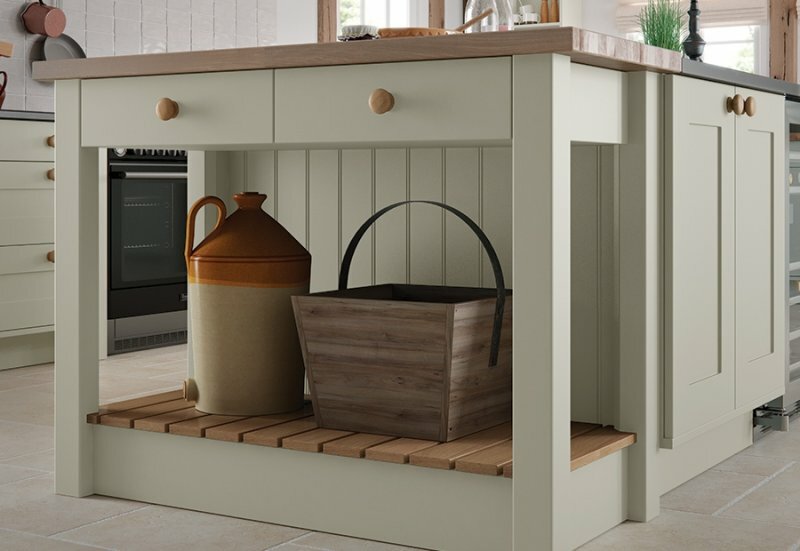 Open shelving allows you to display special items in plain view and with easy access. 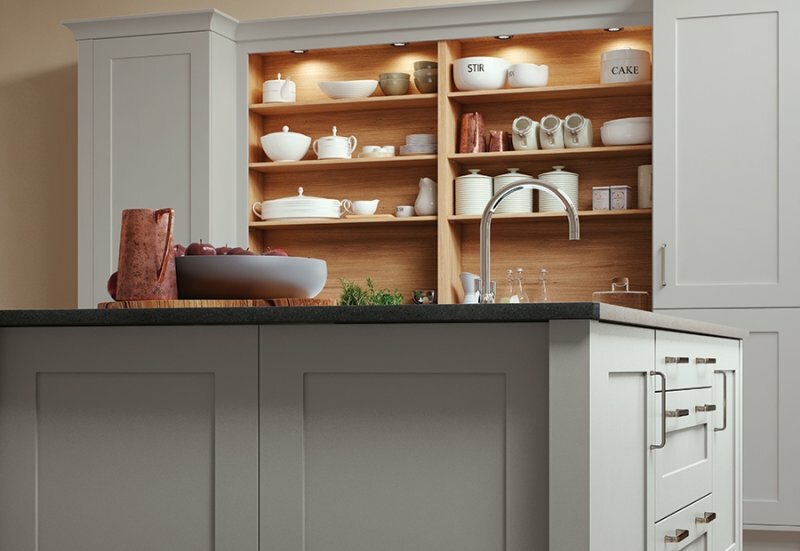 A great way to show off all of your most treasured kitchen items! 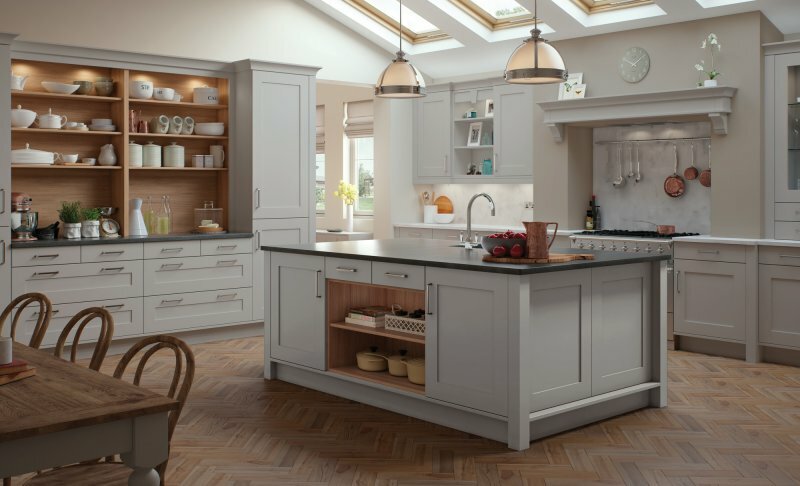 Georgia’s simple design and smooth finish allows for a multitude of design possibilities. 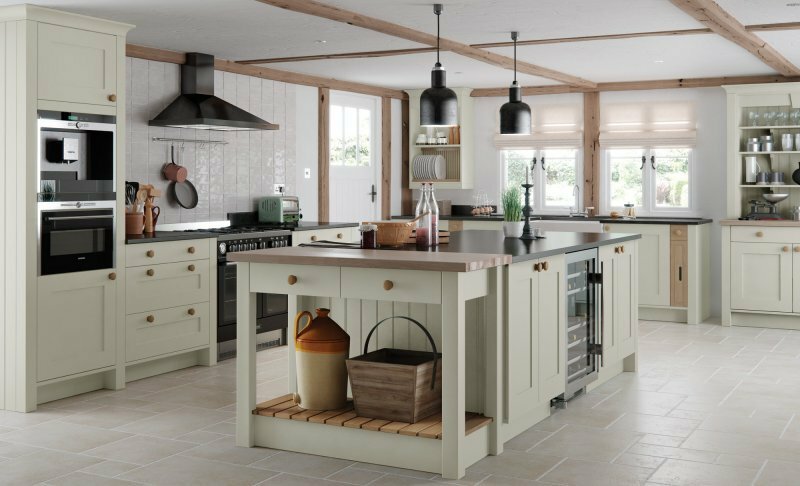 The pastry bench ties in suitably with the overall look and feel of the room and is a beautiful feature of the main island unit. 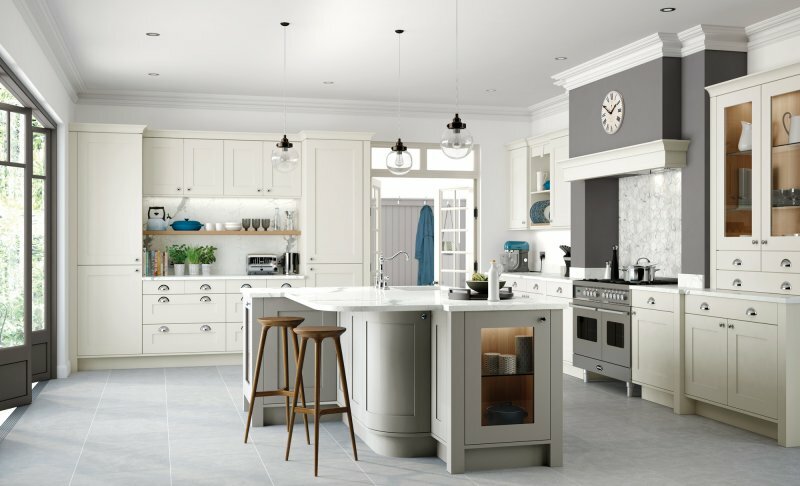 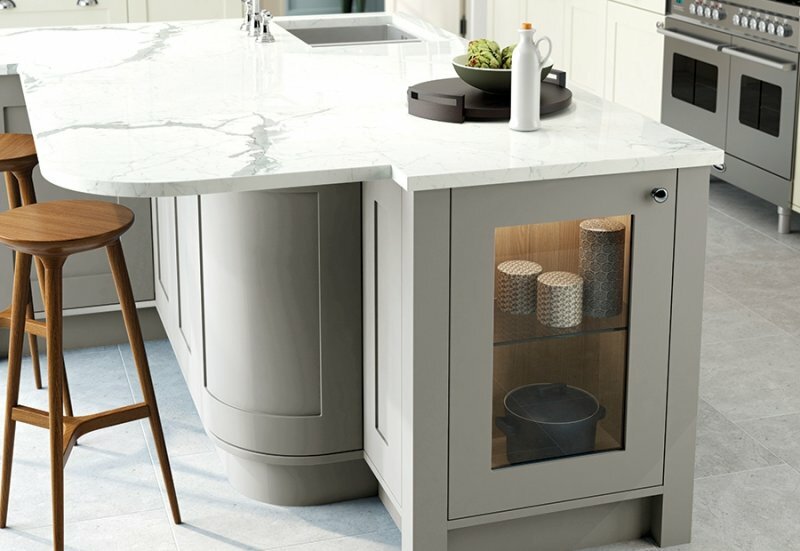 The Georgia kitchen in painted mussel is beautifully integrated with a traditional Belfast Sink for a touch of traditional elegance. 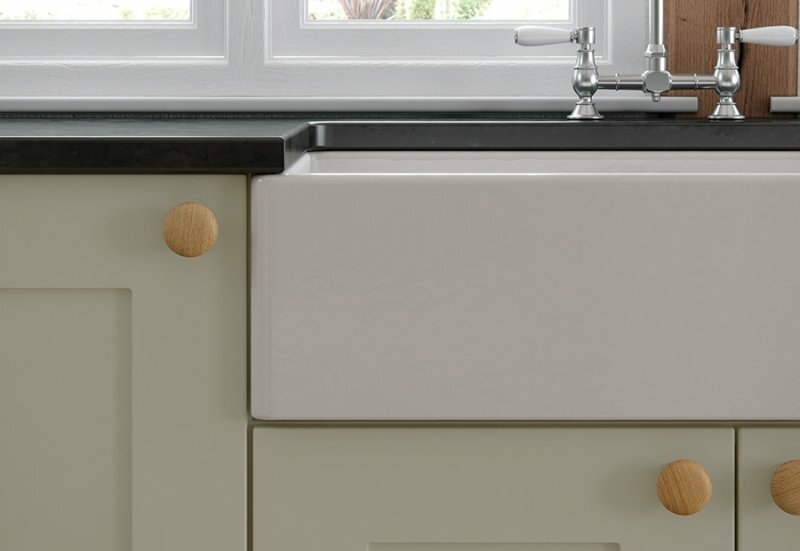 The oak knobs work in tandem to create a real country style vibe.